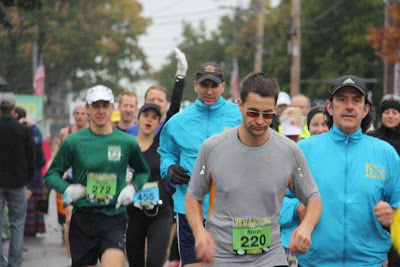 The past few days I've been reflecting on 2012.
rocking the start at MDI - another marathon in the rain! 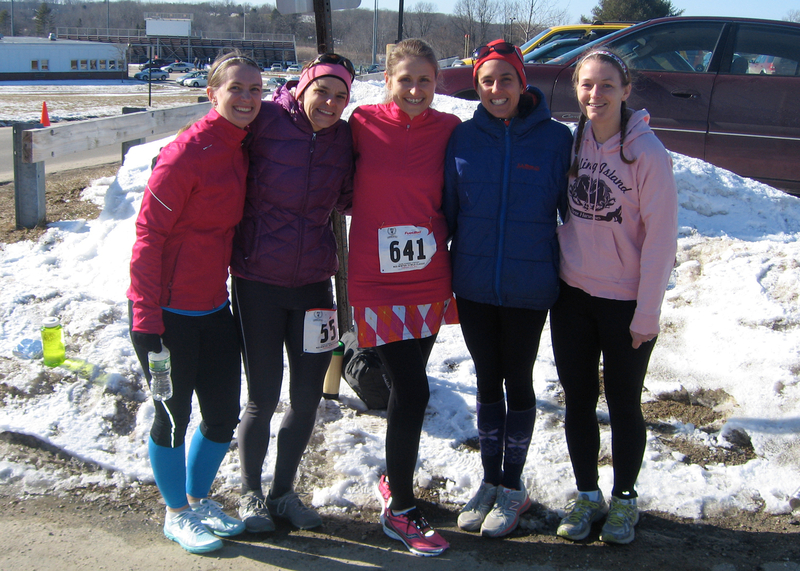 I also ran my first 200 mile relay race with team Need for Speed at Reach the Beach: MA last May. I see myself doing another relay sometime, just not right now. Not only was a part of a fantastic team, I came out of it with some great friendships. 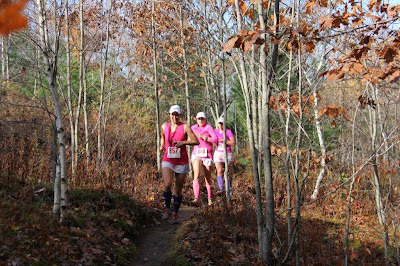 I decided to try out trail running. I realized that I have no sense of direction and that I have to really pay attention to the trail markers. But after a few races, I think I'm liking it and will do more next year! 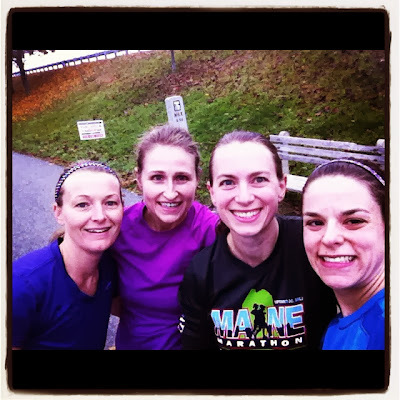 I've continued to run with the rail trail chicks - and continue to find them to be the most enjoyable runs of my week. 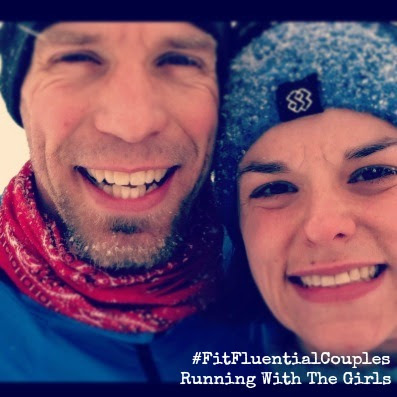 Well - next to being able to run with my husband. I've been loving these recent times we have gotten to run together. Running with my kids has also been quite enjoyable. I do enjoy involving them in fitness. And also running with another girl in my life - Pepper. 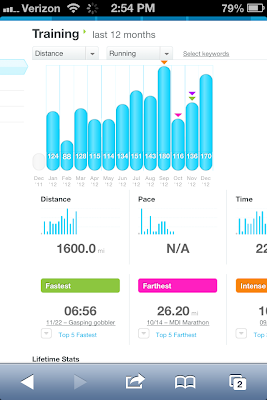 I ran 1600 miles as well - up from 1300 miles in 2011. After over-analyzing if I should stop at 1600 miles or continue on. I received lots of feedback on facebook and decided to just stop at 1600 miles, call 2012 a success, rest today and start off 2013 running again. I also learned my lesson when running while sick. 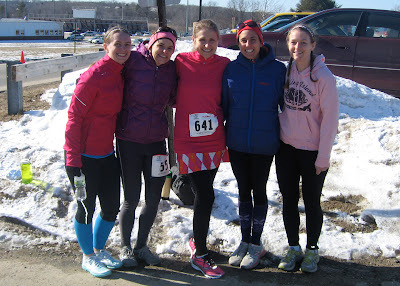 I took on my first Midwinter Classic 10 miler last February and really shouldn't have. I ran with a fever (103) which then resulted in my body shutting down and developing pneumonia. I also set out to complete my first spring tri. That didn't happen. I'm not so sure I want to do it, ever. So, that brings me to 2013. What do I have in store for 2013? 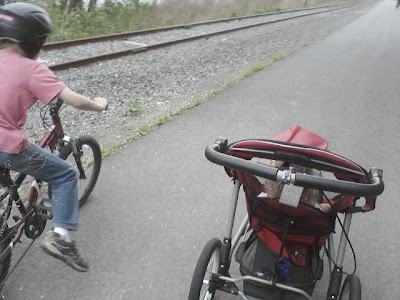 Moving on to goal 2 - I'd love to take another 15 minutes off my marathon time. So far I have two marathons on my schedule. I'm toying with the idea of adding on another marathon. Which leads to goal 3 - I'd really love to earn Marathon Maniac status. Which means I'll need to add another marathon into my schedule. I haven't decided which one yet. There are many factors leading to which one. As the year goes on, we'll see which one it turns out to be. What are your goals for 2013? Have you accomplished what you set out for 2012? You had a great year, Jen.....and I think your 2013 is going to blow 2012 out of the water! Thanks so much for all of your encouraging comments this year, and I look forward to sharing (vicariously) in all of your adventures ahead! Happy New Year! Congrats on all of your accomplishments in 2012! I've done 2 marathons in one year, which I found to be super challenging. I think you can definitely get a sub-4 in 2013; 28 seconds is nothing in the world of marathoning! What a great year, so many PRs in there and lots of great moments. Can't wait to follow your journey in 2013! You are fast! I enjoyed reading your recap of the year. 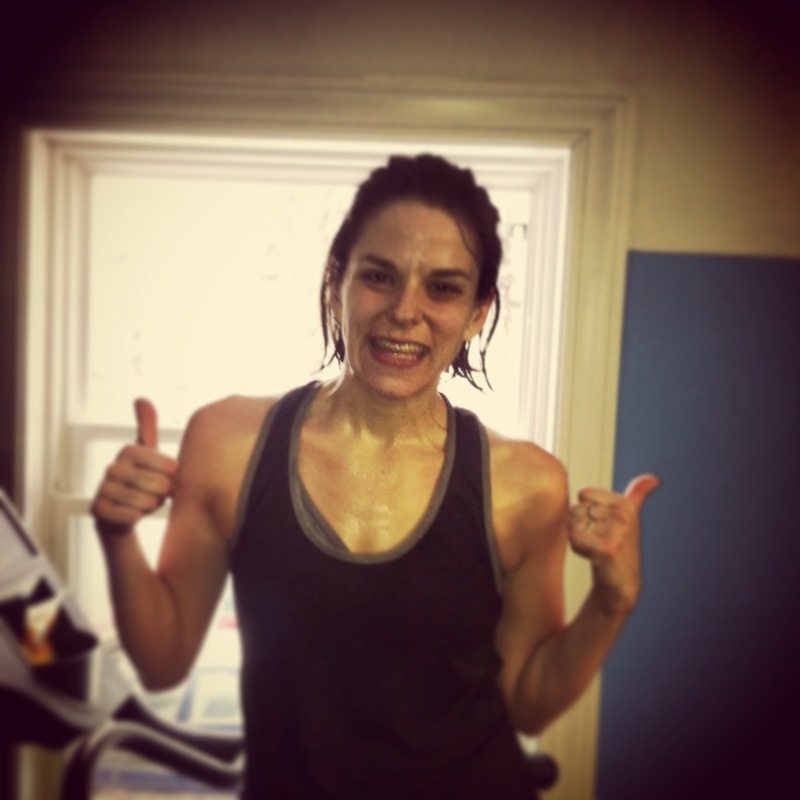 :) That's a LOT of running you did, and you always look so happy when you're doing it - even when you're sick. So inspiring! Hope you have a wonderful 2013. I've got a PR goal myself - a sub 25:00 5K. I'll be posting all my 2013 goals tomorrow. You can totally get that sub 4! I hope we get a chance to see each other at another event soon! You ran with a fever of 103???? Girl, you're crazy! Good luck on achieving marathon maniac status. I'm hoping to get my first full in this year. Last year was a wash with a knee injury. Good luck to you! Again, I will repeat myself... YOU ARE AMAZING!!! I love the picture of you and Pepper, I think that is my all-time favorite! What a great year you've had! Congrats on the 1600! I was so close to that too. 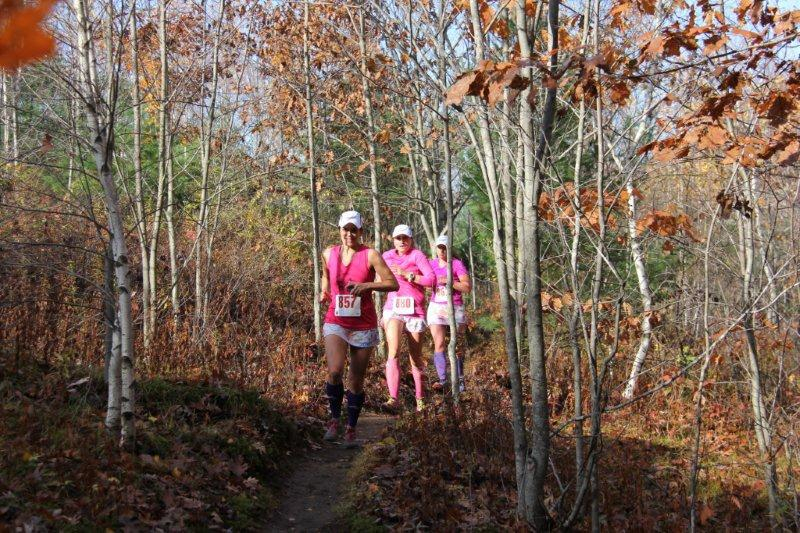 And a super big yay for the trail running!!! I hope you have a really fun and totally fabulous 2013. I will enjoy reading all about it! Happy New Year, Jen. Can't wait to watch you destroy your goals in 2013! :) Happy New Year!! You are so going to rock a sub 4 hour marathon this year!! Happy New Year!! Fantastic year of running with a lot of great (and not so great) lessons learned. I know you'll rock your 2013 goals! Can't wait to share the journey with you. Happy New Year! You had such a wonderful year in 2012 Jen! I am certain that 2013 will bring you more PR's.